Erwin met fans in Pittsburgh, Pennsylvania for the Royal Blues' final league match of the season. 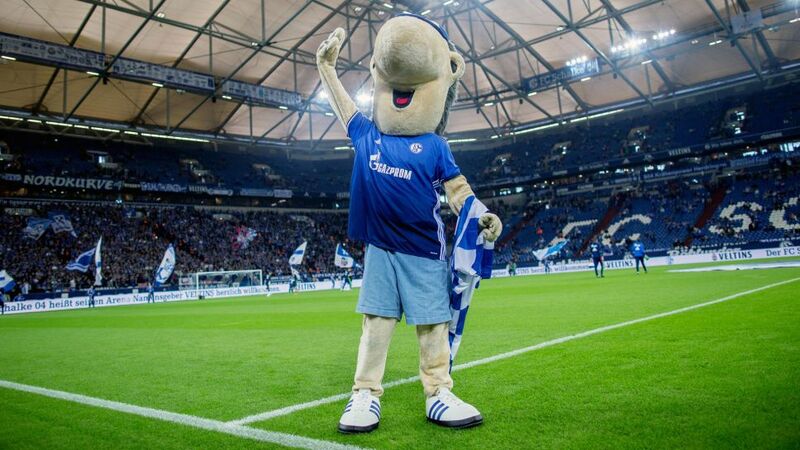 As part of the club's profile-raising efforts in the United States, Schalke mascot Erwin undertook a whistle-stop trip to Pittsburgh to coincide with the club's Matchday 34's game at Ingolstadt. Click here to see how your Official Fantasy Bundesliga team did on Matchday 34! Erwin met local Schalke supporters and had a meet-and-greet session with Amo, the mascot of local professional outfit, the Pittsburg Riverhounds. On 19 May, Amo and Erwin took a tour of the Steel City, visiting local landmarks such as the Duquesne Incline and Market Square. The following day there was a 'Schalke Watch Party' public viewing experience for the Royal Blues' final match of the season, a 1-1 draw at Ingolstadt. This is the second major initiative from the club to cater for their growing presence in America recently, following a special screening of the Revierderby against Borussia Dortmund in St. Louis, Missouri in early April. Schalke recently announced that American teenagers Weston McKennie (18) and Haji Wright (19) have been promoted to the senior squad for the 2017/18 season.